Your inner history buff will appreciate Shrine of Remembrance and Parliament House of Victoria. Appreciate the collections at Melbourne Museum and National Gallery of Victoria. Get out of town with these interesting Melbourne side-trips: Werribee Open Range Zoo (in Werribee) and The Great Ocean Road (in Torquay). Spend the 11th (Wed) wandering through the wild on a nature and wildlife tour. Next up on the itinerary: admire the natural beauty at Royal Botanic Gardens, soar above the sights with a balloon tour, browse the eclectic array of goods at Degraves Street, and get to know the resident critters at Melbourne Zoo. To find photos, ratings, and more tourist information, you can read our Melbourne trip itinerary planner. Sydney to Melbourne is an approximately 3.5-hour flight. You can also do a combination of flight and shuttle; or drive. Traveling from Sydney in September, things will get a bit cooler in Melbourne: highs are around 20°C and lows about 7°C. Wrap up your sightseeing on the 11th (Wed) early enough to travel to Adelaide. 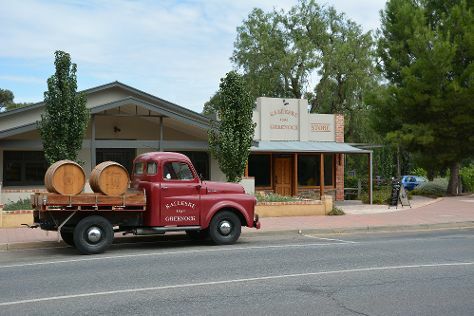 Visit Langmeil Winery and Johnston Oakbank Cellar Door for their historical value. Visit Aldinga Beach and Henley Beach for some beach relaxation. Explore the numerous day-trip ideas around Adelaide: Greenock (Murray Street Vineyards & Kalleske Wines), McLaren Vale (Shingleback, Old Oval Estate, & more) and Whistler Wines (in Marananga). Dedicate the 13th (Fri) to wine at some of the top wineries in the area. There's lots more to do: take in nature's colorful creations at The Cedars, do a tasting at Flaxman Wines, wander the streets of Rundle Mall, and contemplate the long history of Adelaide Oval. To see more things to do, reviews, maps, and tourist information, go to the Adelaide trip planner . Traveling by flight from Melbourne to Adelaide takes 3.5 hours. Alternatively, you can drive; or take a train. In September, daily temperatures in Adelaide can reach 21°C, while at night they dip to 11°C. Finish your sightseeing early on the 20th (Fri) so you can travel back home.